Why, hello there. It's us, your costume friends at Team HalloweenCostumes. And we've got an important message to relay to you from our old pal, Uncle Sam. He's informed us that the 4th of July isn't just a great time to be patriotic. He says it's a great time to drink some beers! This is news to us, but what isn't news is the fact that we're experts on all things costume. So, we'll just absorb this nugget of wisdom, put a notch in our belt, and of course, make a very important costume recommendation. 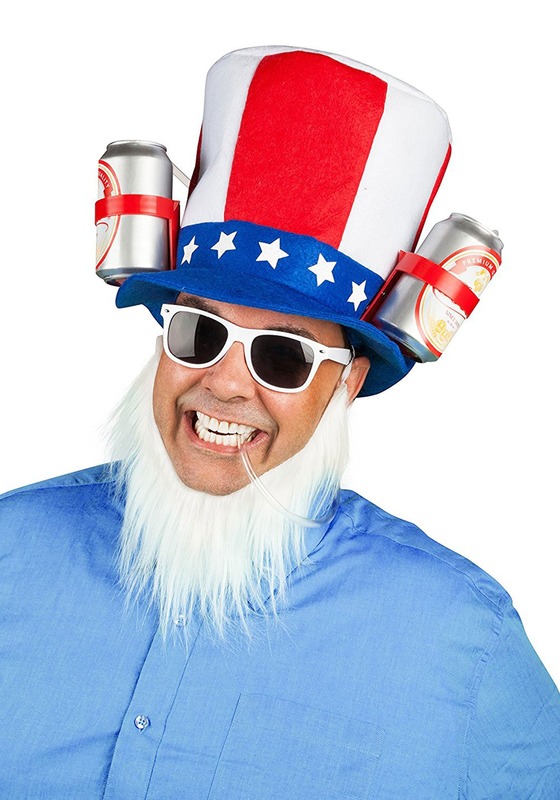 That's right, this year, don't just get one of our Uncle Sam costumes. Do that, but then, get this Uncle Sam's 4th of July Drinking Hat! 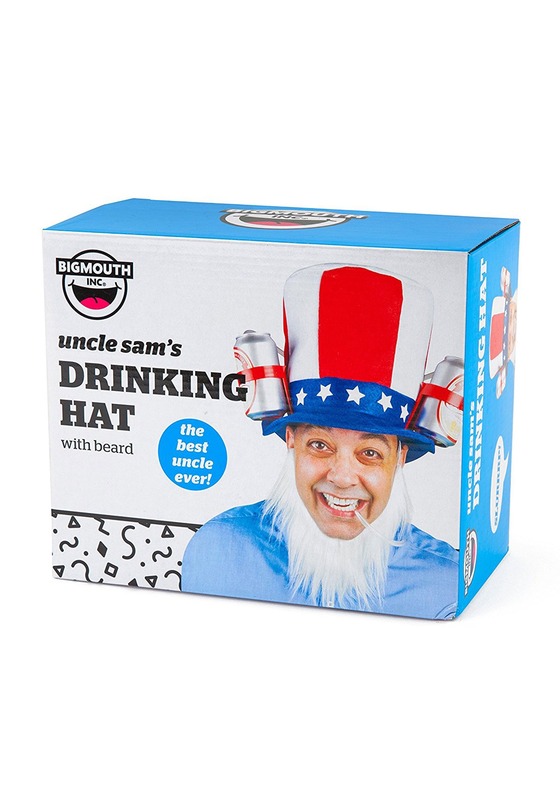 This Uncle Sam's 4th of July Drinking Hat is styled as a one-size fits most felt top hat, done in the typical Uncle Sam stars and stripes style. It has an attached faux fur beard for the costume effect, but the best part is the function built into the lid. Because it has a plastic can holder to either side of the hat! It also has a plastic straw sipping system, so that you can enjoy your brews (or any other type of canned beverage!). 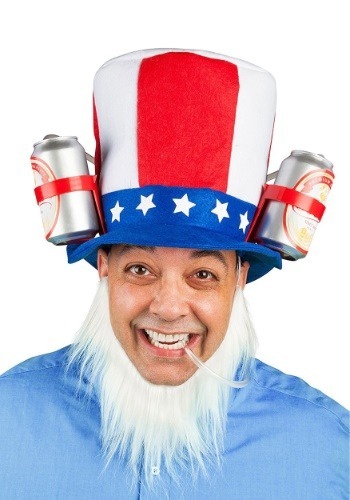 Get this 4th of July Drinking hat when you're ready to put a new spin on an old classic. And, presumably, when you're ready to enjoy some beers!